Join me for a 9 Month Apprenticeship in Natural Beekeeping, Shamanic Bee Wisdom, Apitherapy, Spiritual Ecology & the Divine Feminine. The Women's Beekeeping Apprenticeship will be taught in Sebastopol, CA running from February to October, 2019. The course meets for an extended weekend every other month, with a two hour video conference during alternating months. Classes will be held on private land in Sebastopol. No experience in beekeeping necessary to apply. This course aims to give students a foundational understanding in Bee-centered beekeeping, while working closely with the spirit of the land and wisdom of the honey bee. Using our own wild and divine feminine nature as guide, we will explore the terrain of intuition, seasonal cycles, ecology and ancestral roots. With the honey bee as our axis and our access point, we will approach beekeeping from both a shamanic and stewardship perspective. Class will establish at least one colony, tending her from birth to winter "tuck-in". Students are encouraged to raise their own colonies, if possible, in tandem with the course. A few sets of bee veils and gloves will be provided for group use, but students are encouraged to bring their own. Full bee protection suits will not be provided and are optional based on student's comfort level. 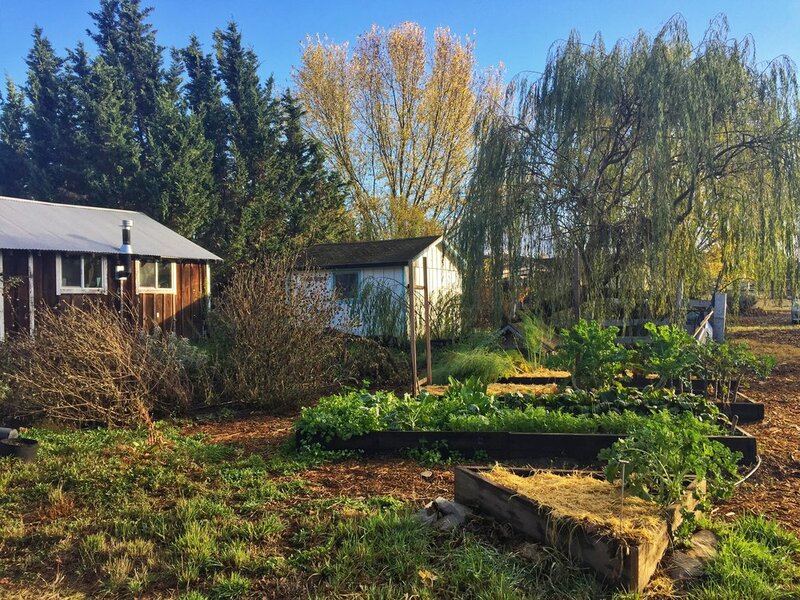 Sophia’s Garden is a biodynamic herb farm located 15 minutes from downtown Sebastopol. The land is used to grow herbs such as lavender for locally made hydrosols. The land is dedicate to the inherent wisdom of Nature and contains a beautiful outdoor sand temple at its heart. Classes will be mainly taught in a large white dome lined with felted wool. There is a small student kitchen. Common Space farm is a shared community space with a seasonal creek, food gardens and lush bird life. The property is a five minute drive from downtown Sebastopol where students will have access to local organic grocery stores, farmers market, restaurants and other resources. 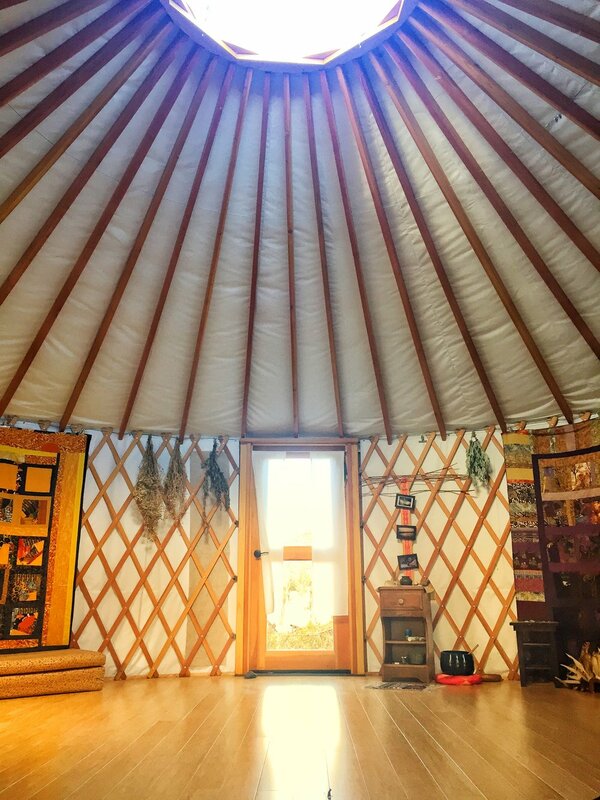 Classes will be held in a beautiful Yurt with a wrap around porch. Course fee includes teaching, class materials, property rental and supplies for class hives. Hive visits will occur at least once a session, depending on weather. The Women's Beekeeping Apprenticeship is not a residential program. However, we do have limited basic accommodation options for out of town students seeking to camp on the property or sleep in the Yurt. Those interested in sharing an AirBB with other students are welcome to contact me to help facilitate connections. Students are encouraged to bring a pack lunch. Depending on location there will either be access to a kitchen and fridge or access to a cooler and camp stove. Students will be notified as to which location we will be spending the weekend at prior to start of program. While students can travel to town during the lunch break, it is highly recommend that you stay on the property for cohesiveness and ease. "Bee" tea (herbal), green and black teas will be provided during breaks with occasional seasonal snacks. Friday and Saturday class will end most days by dinner. If evening or extra early sessions are scheduled (very rare), students will know far in advance and can plan accordingly. Sunday class will end by 5pm. Ariella is a beekeeper, Melissae, musician and storyteller. A student of the Path of Pollen, she has studied honey bee shamanism for the past 7 years in the United Kingdom. Ariella became a beekeeper in 2010 when a feral colony moved into the wall of her home. She has worked predominantly with alternative hive styles and employs bee-centric apiculture methods. Ariella developed an interested in earth wisdom at an early age, creating her first herb garden and herbal remedies at the age of 15. Plant lore and an affinity for traditional folk music led her to study the myth and folk wisdom of her Celtic ancestry. As a result, she has over 25 years experience designing, leading and participating in Celtic and earth-based practices and ceremony. She believes in the power of body as guide and nature as ally, committed to fostering relationship between the human and non-human world. She has worked as a tour guide in Europe, pursued a career as a singer/songwriter, toured extensively in a folk rock band and participated in deep group wilderness emersion. Today she employs her skills with group facilitation in a number of workshops and classes focused on beekeeping and women's embodied wisdom. Do I need my own transportation? Yes, but I highly recommend carpooling with other sisters. Is it open to women only? The course is open to women and those who identify as she/they or femme. Is there car camping? There is only room for one car/truck. You will need to bring a tent if you plan to camp. How about parking? For the Common Space site, parking at the end of the road, about a 3 minute walk from the site. For Sophia’s Garden there is parking on site. What is the weather like? It ranges. Bring layers! 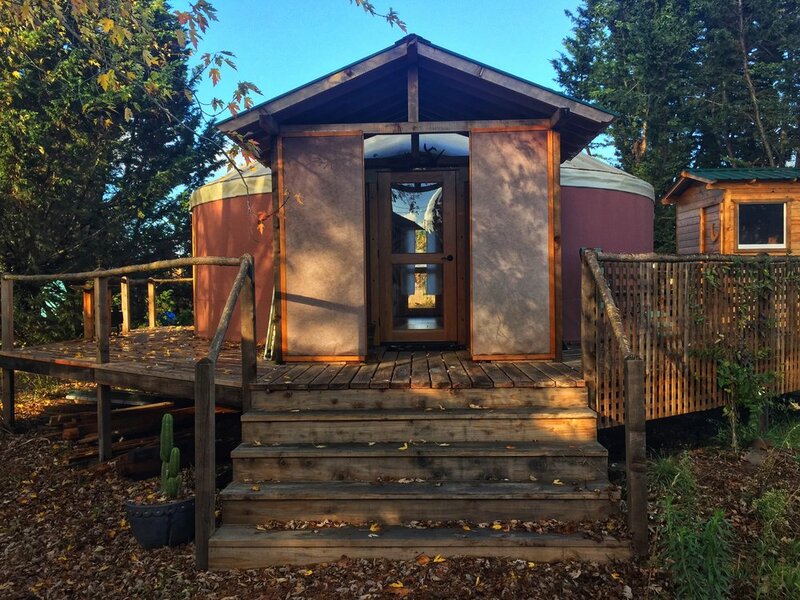 The course is in lighly heated/lightly air conditioned Yurts. Make friend with nature. What is the bathroom situation? You can pee on the land or you can use the composting toilets at both sites. Are there ticks on the land? Yes! There are ticks in Sonoma county. Be prepared and check yourself daily after visiting bees. Do I need a bee suit? No, but I require you to have hat and veil, bee gloves, long pants/skirt, boots and light colored clothes if you are going to be in the hive. You can swap/share veils/gloves if standing at a distance. Will there be homework? Yeppers. There will be required reading, group work, meditation work, land observations and more. Think of it more as a 9 month program rather than 5 sessions. What happens if I miss a session? It is your responsibility to get the materials from a hive sister. Each session builds on the last and certain methods and techniques can not be taught again. What is your favorite breakfast food? Glad you asked! It’s homemade crepes with fresh whipped cream fruit and honey.